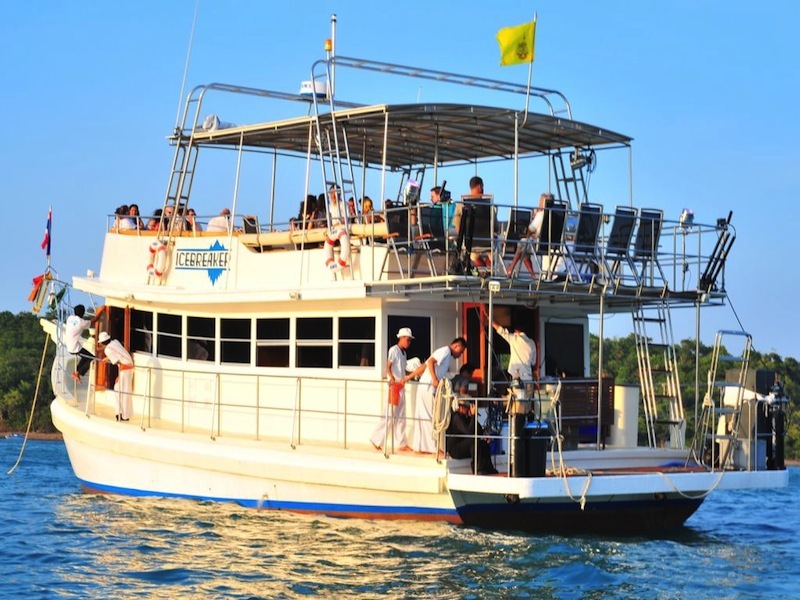 5 hour VIP sunset cruise, dinner, dance & champagne reception. 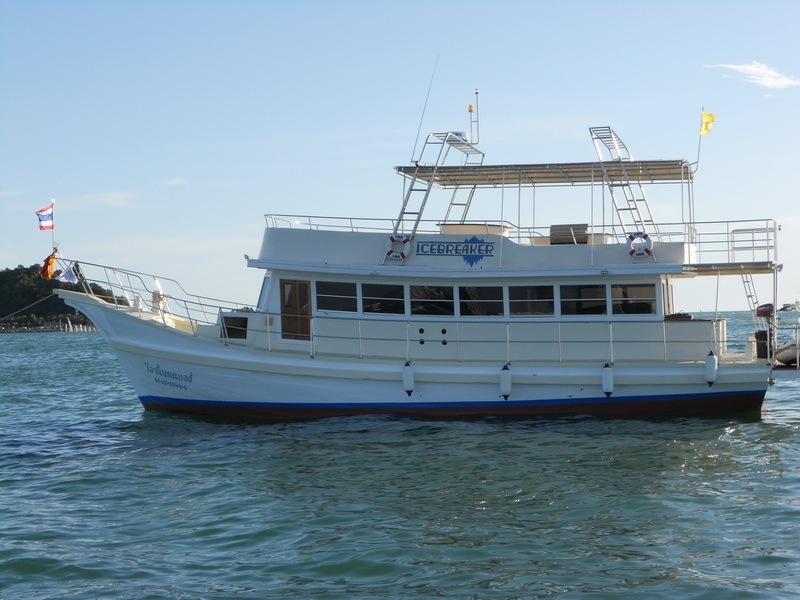 Come and enjoy an incredible evening of quality cuisine and relaxation upon our 70 foot Yacht called the Icebreaker. 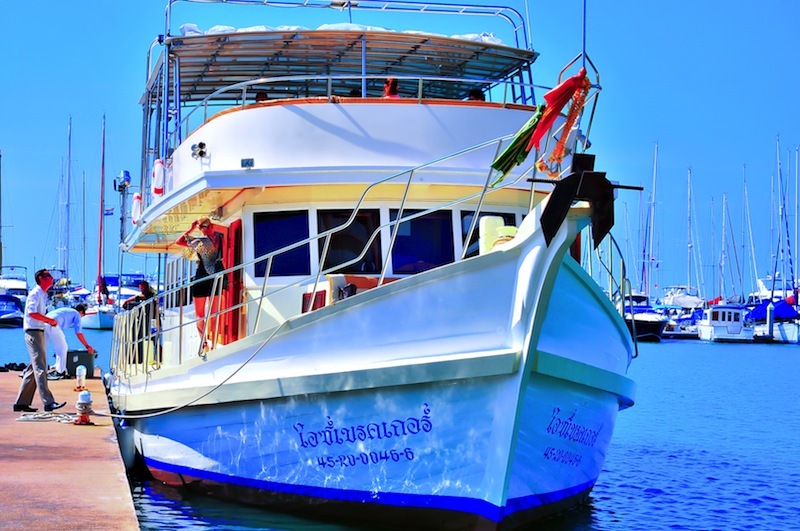 The Icebreaker is a marine events yacht exclusively chartered by Pattaya Yacht Charters co, ltd. She obtained her name 'Icebreaker' because she is seriously strong, safe and stable. 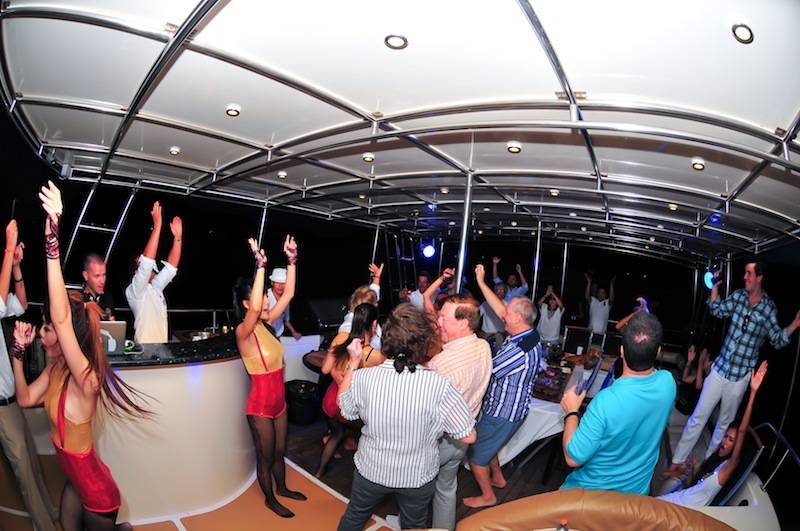 She also gets her name because the term 'Icebreaker' is often used in the English language as a metaphor for meeting new people and our yacht is simply the perfect vessel to meet new people on with its relaxed atmosphere and gorgeous interior design. 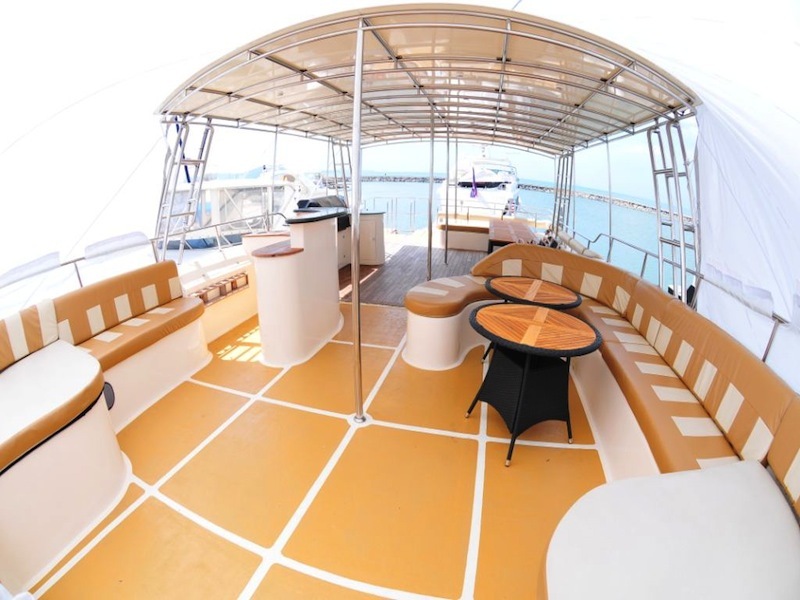 The Icebreaker features two decks with a luxury comfortable seating on the upper deck along with a large bar, gigantic BBQ, dance floor, disco lights and a professional sound system. 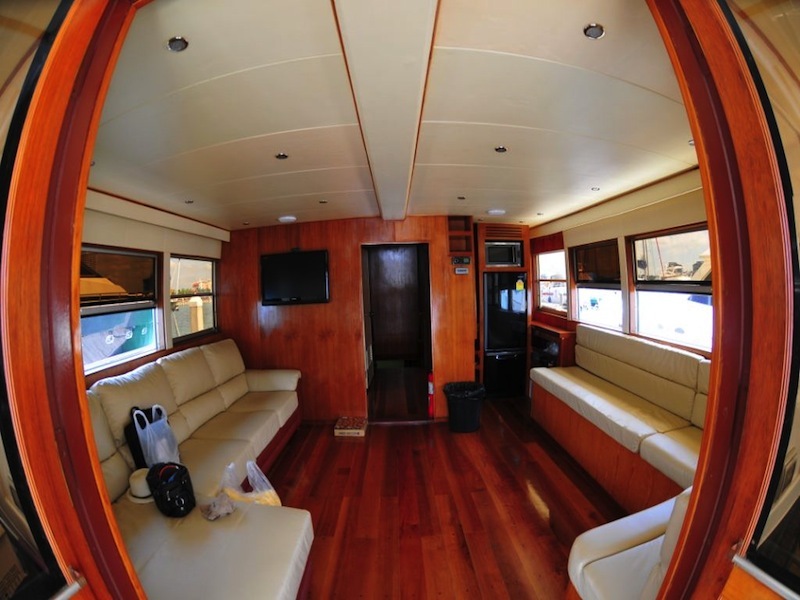 On the lower deck is a comfortable living room area and two clean bathrooms. 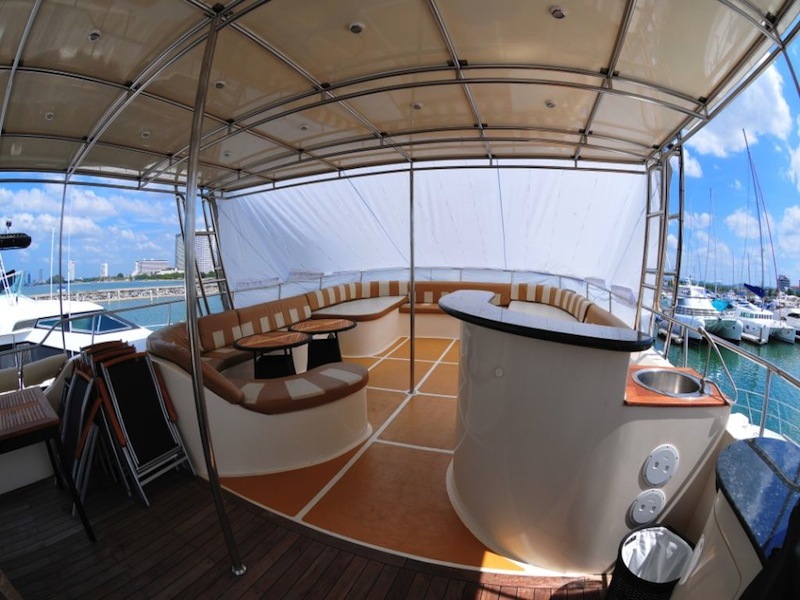 At the bow you will find the captains quarters along with a comfortable open air seating area. 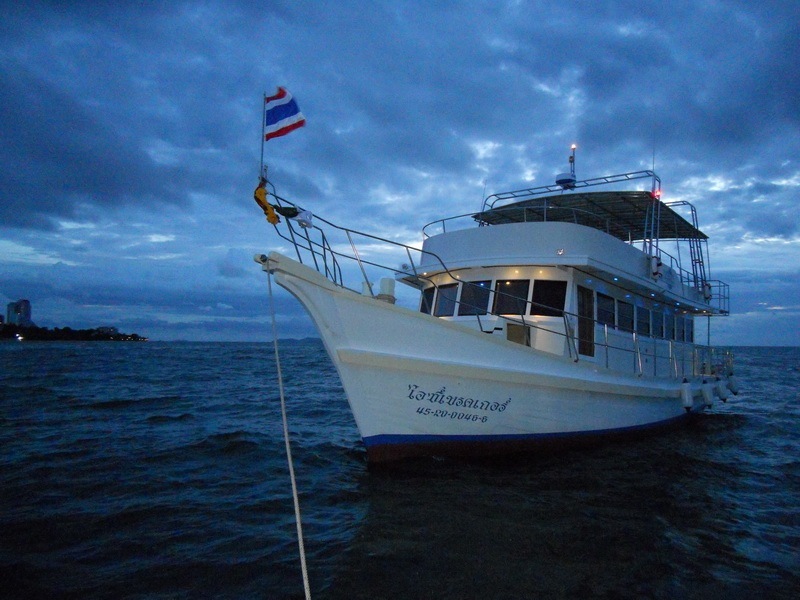 Our exquisite food, first class service and awesome ambience will ensure a perfect evening cruise to be enjoyed by all onboard. 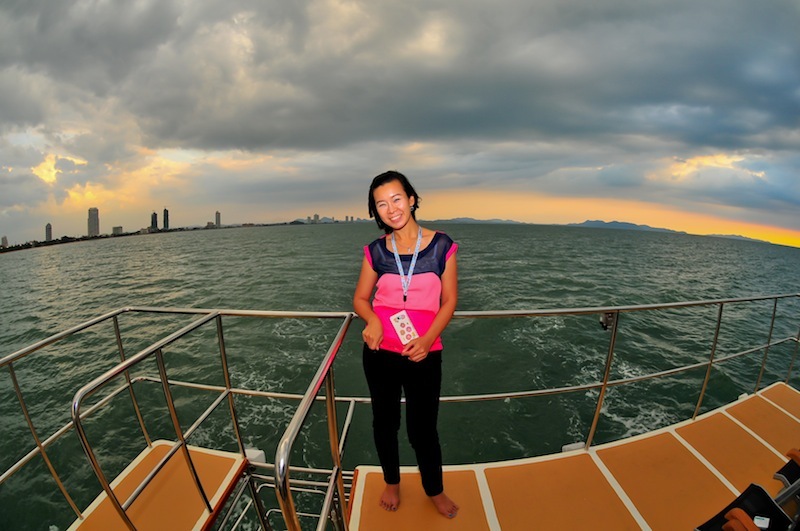 5:30 pm - Champagne reception on board our Yacht at Ocean Marina. 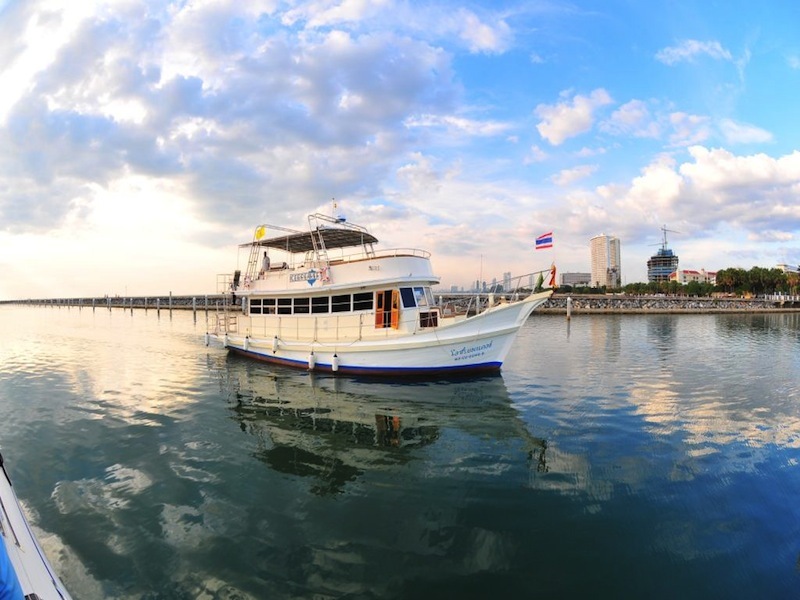 5:30 – 7:00 pm - Watch the sun set and enjoy 5 star dinning as we slowly cruise past Na Jomtien towards the dazzh4ng h4ghts of Pattaya bay. 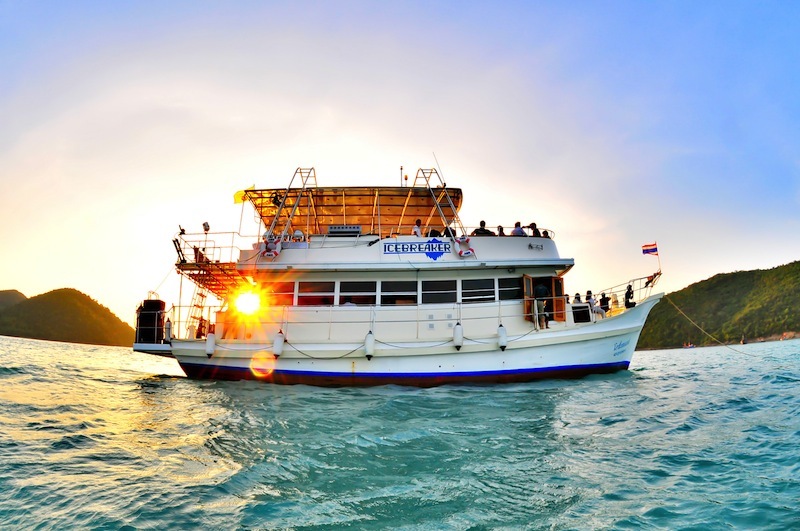 7:00 – 9:00 pm - Drop Anchor in Pattaya Bay and enjoy even more exquisite food as we start the BBQ Feast! Pasta salad, potato salad, green salad with 2 choices of dressings, selection of cold meats, smoked salmon, breads and butter, & an incredible fruit platter. Medallion of pork with mushroom sauce. On the BBQ: Rib eye steak scewers, succulent spareribs, tiger prawns, blue crabs & calamari squid. Cocktails from 120 thb Long Island Ice Tea, Screw Driver, Mai Tai and more. Coke, Coke Light, Fanta, Sprite, Schwepps Tonic, Schwepps Dry Ginger, Mixers, Water, Tea &Coffee.